Our company is committed to delivering a vast range of cleaning services to our valued customers in London and the area of Hendon in particular. Along with the standard cleaning services, intended to keep the household spick and span, we also have a vast portfolio of home maintenance services such as hard floor cleaning and polishing. If you are sick and tired of seeing your floor covered with ugly scratches and you want its initial gloss restored, all you have to do is to call us and arrange a team of experienced cleaning professionals. If you are looking for a cost- effective hard floor cleaning service and you are reluctant to compromise with the quality, booking with us is the best decision you can make. 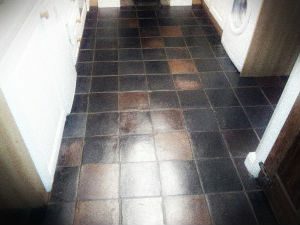 We are a popular company in NW4 for a reason and our customers highly appreciate the diligence and efforts we put in delivering hard floor cleaning services of the best quality. Admittedly, a flawlessly performed hard floor cleaning procedure makes the floor look great, but if you want to preserve the outstanding results for longer, you should consider taking advantage of a floor polishing procedure. Upon your request, our experts will remove any existing layers of sealant and apply a new one that would fill the cracks and eliminate all visible scratches. Needless to say, high traffic areas will be paid special attention to. 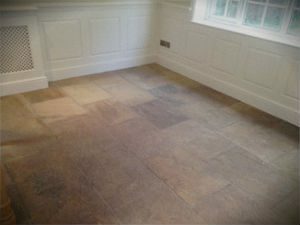 Once the service is delivered, you just have to wait a few hours till the floor gets dry and then, you will be enabled to enjoy its gloss and smoothness. The only requirement you have to meet in order to book with us is to have a property, located in Hendon, NW4 or the neighbouring areas. Our cleaning professionals will take care of the rest. No hidden fees or minimum charges per visit apply. Call us now and get your non-obligation price estimate.